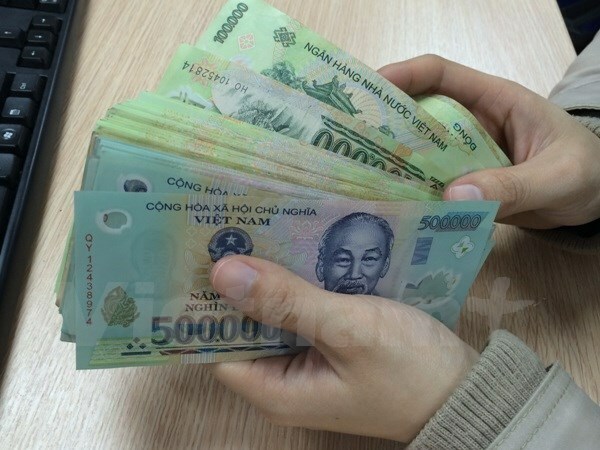 Hanoi (VNA) – The National Wage Council has agreed to propose a region-based minimum wage increase of 6.5 percent for 2018 to the Government for consideration. Accordingly, the regional minimum wage for employees working for enterprises in Region 1 is proposed at 3.98 million VND (175 USD) per month (up 230,000 VND from 2017), Region 2 at 3.53 million VND (up 210,000 VND), Region 3 at 2.9 million VND (up 190,000 VND), and Region 4 at 2.58 million VND (up 180,000 VND). Deputy Minister of Labour, Invalids and Social Affairs Doan Mau Diep, who also chairs the National Wage Council, said at the council’s third meeting on the issue on August 7, eight of the 14 votes were in favour of the 6.5-percent rise. However, the Vietnam General Confederation of Labour (VGCL), which represents employees, and the Vietnam Chamber of Commerce and Industry (VCCI), on behalf of employers, still showed their dissatisfaction with the increase. VGCL Vice President Mai Duc Chinh said a survey of the VGCL in 17 provinces and cities show that 51 percent of the surveyed employees have income just enough to make ends meet, and over 20 percent have to practice austerity. While the income of 12 percent of the respondents is not enough to cover their daily life, only 16 percent can make savings. The regional minimum wage should have been raised by about 6.8 percent, not lower than the increase rate in 2017. Due to socio-economic difficulties, the VGCL agreed to reschedule the road map for the minimum wage increase to meet basic living standards. With the rise of 6.5 percent, the road map could last until after 2020, he said. VCCI Vice Chairman Hoang Quang Phong said the minimum wage hike must concurrently help improve workers’ living conditions and ensure businesses’ development. He noted in the first seven months of 2017, more than 73,000 new businesses were set up, but 50,000 others were dissolved or suspended operations. The proposed increase of 6.5 percent, in fact, has already exceeded enterprises’ payment capacity. A VCCI survey shows both domestic and FDI firms share the view that if the minimum wage is continually augmented like it has been for the past years, they will be affected considerably. Phong said employees’ living standards are based on not only minimum wage but also other factors. Employees should work harder and improve their skills, observance of disciplines and productivity, basing on which businesses can give bonuses and other welfare.